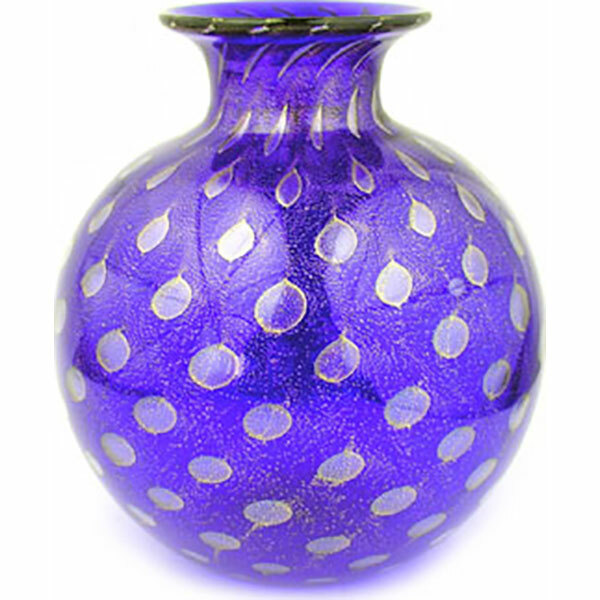 Lapis (Cobalt Blue) colored glass and 24 karat gold foil are used to create this traditional round Murano glass vase. The classic bubble styling of the gold foil adds to the elegance of this vase. Approximately 6 1/2 inches tall and 6 inches in diameter.